How would you like to feel 12 years younger? It’s easy… Eat wild salmon 3 times a week. That’s it. According to the Cleveland Clinic, adding 3 servings of salmon to your weekly diet can help you lose a pound a week – without exercise – and give you the energy of someone 12 years younger! That’s because of the combination of Omega-3 fatty acids – and antioxidants called carotenoids, which give salmon its bright peach color. They increase the body’s ability to burn stored fat for energy. And help fortify cells against free-radical damage – so you don’t age as quickly. Are you feeling tired today? If you’re exhausted, and someone asks how you’re doing, lie and say, “I’m great!” Researchers at the Cleveland Clinic found that can actually trick your brain into thinking you DO feel great and rested. It’s called “placebo sleep”… and – just like taking a fake placebo pill fools us into feeling better – pretending you slept well is so effective, it can help you power through the day even when you’re short on sleep. Are your kids staying hydrated? Be aware of how much your kids are exercising this summer. 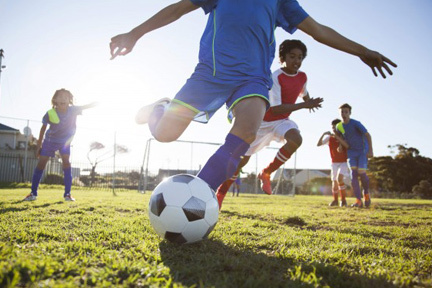 Young athletes are at risk of dehydration in hot, humid weather. An emergency room physician from the Cleveland Clinic says not getting enough water can lead to heat-related illnesses such as heat exhaustion and heat stroke. Kids should be familiar with the signs they’re becoming dehydrated. If they feel a Charlie horse in their legs, tingling fingers, dizziness, light-headedness, or cramps that won’t go away – those are all signs they aren’t getting enough water and are losing electrolytes. Kids produce more heat and sweat less than adults do. And they’re also less likely to drink enough water while exercising outside. So make sure your kids stay hydrated.